Today marks the 99th time this country has observed Father’s Day. Not quite the sentimental darling as its counterpart Mother’s Day, but we’ll still spend millions of dollars on millions of cards and red-meat dinners to celebrate fatherhood. But who are we really buying all those ties for? My dad was just 6 years old when his father died. But as hard as it was to lose his father, he grew up, married, and when he and Mom started having my four brothers and sisters and me, he knew how to be a good dad. 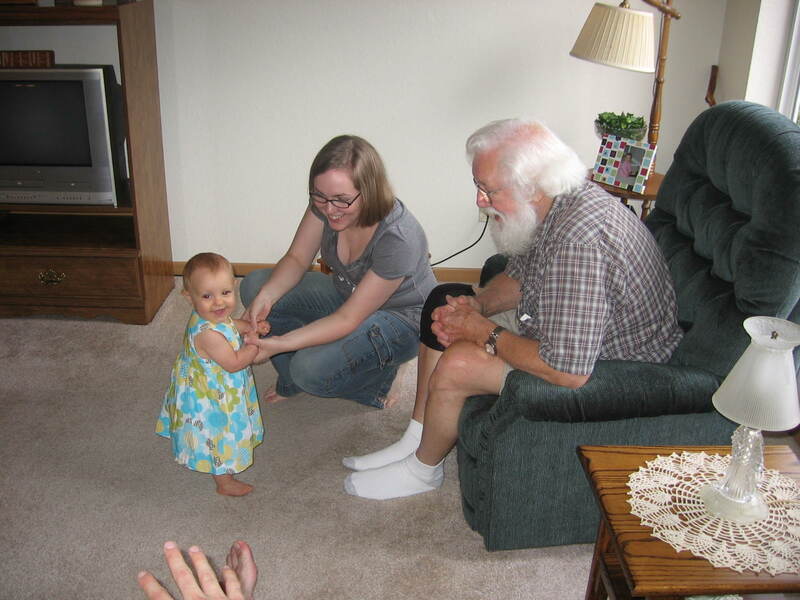 Whether he was getting up with us at night when we were 6-weeks-old or offering his arm to lay on during a thunderstorm when we were 6-years-old, my dad didn’t rely on the way he was parented to be the best dad he could. He knew children needed to be taught the details of life while under the watchful eye of love and protection, even though he wasn’t raised by his father. He read us books and made up stories to tell us before we went to bed. He listened to our prayers, sang silly songs, and bought us chocolate donuts and let us wear paisleys with plaids on Saturday mornings. He taught us how to paint a house, buy a lawnmower, check the oil in our cars, hang a picture, read a map, and love our spouses. I still call him when a pipe is frozen or my car has overheated. I love my husband and think he’s really smart, but that still small voice inside me always says, “Call Dad” when bad things happen. My dad never called me “fat” or treated me in a way that would cause me to feel self-conscious. I know I’m one of the lucky ones because as a mother, my experience with fathers since I grew up and moved away from home hasn’t been as positive as it was when I grew up with my dad. While it doesn’t take more than a few minutes to become a “father,” I’ve learned biology is no guarantee a man will be a good dad. And promises of non-biological fathers mean absolutely nothing to a kid unless it’s backed by a lot of action. Real dads are the men who actually want to be with the children entrusted to their care and who show them through their words and deeds. Real dads keep their promises. They never discipline with violence. When they tell their children “I love you” it isn’t fraught with conditions. They say, “Hello, how are you?” when their children walk in the room instead of grunt at them from the couch, their eyes glued to the TV. They eat Popsicles with their daughters on the front stoop. They are the men who choose to be foster fathers to show children there’s another way of living other than with neglect and abuse. They are the grandfathers who shower their grandchildren with love and kindness, or the uncles who take their nieces and nephews on family vacations. A real dad loves the children his new wife had before they met. He keeps his child support commitment despite a disagreement with his child’s mother. He sees his children every chance he gets no matter how far away he lives. Good dads raise their children well even if their partner dies. Real dads balance work and family the same way real moms do. Real dads are there for a lifetime, even during the teenage years. To the men who can’t do these things I beg you, stay away from children. Just because you can, don’t father children if you’re not capable of raising them. Don’t fall in love with a woman who has children. Recognize your inability to be a real dad and move on. You’ll be a better man for it. To my dad and to all the men in this country who play catch and field grounders, mend knees and broken hearts, teach compassion and empathy, work hard and still manage to love children, have a very happy “Real Dad’s” Day this Sunday. The world is growing up a better place because of you. 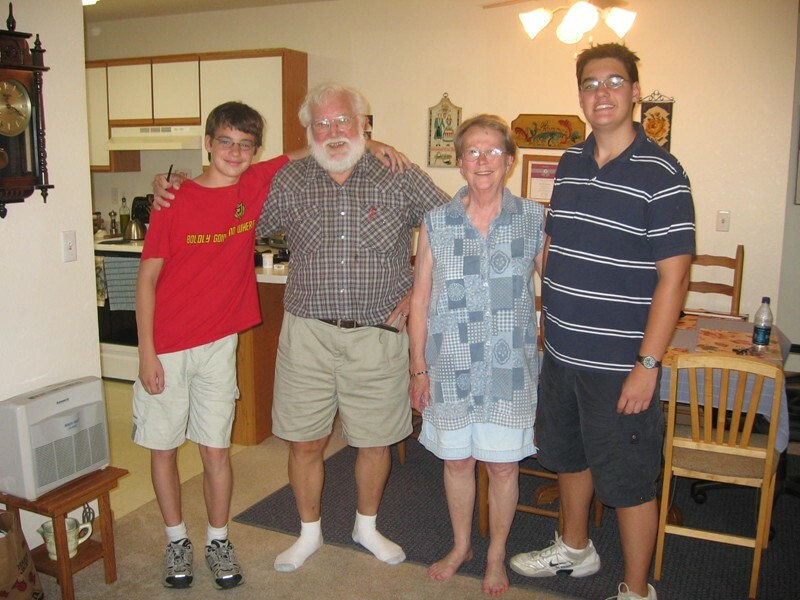 My dad and mom with my stepsons. They couldn’t be any more their grandsons than if I had them myself. Dad meeting Claire the first time last year. This entry was posted in Uncategorized on June 21, 2009 by Lynn Haraldson. Good morning, Lynn. What a nice way for me to start Father's Day. Thinking about what a wonderful dad I was gifted with, and am still blessed to have here on earth. Thank you for writing this. Beautiful post. And so true! I don't think I've ever seen a “before” picture of you before… Wow! You've really come a long way! I saw the pic of you and your dad and for just a moment didn't realize it was you. It is a lovely picture and I am glad you included it. very nice and very true posting – hope you have a nice rest of the weekend. What a lovely post and so true. I'm grateful everyday for my husband who is a great dad to our seven children. I think in this day of blended families, the advice to all men is very timely and important. Thanks for sharing. Nice post. Celebrating such days really makes our parents happy and that make us too. Have a wee tear here… lovely post Lynn, he sounds like a gem. That was really sweet! I miss my Dad. I really hope my boys grow up to be amazing Dads too! I got a little teary eyed at this post! My dad was one of those Dad's! He loved me more than anything, and did so until he passed away 11 years ago when I was 30. My kids were too small, never met him, but I have such great memories of him taking pictures at every event I did! He must have taken thousands of pictures of me and my brother and sister growing up! Happy “real dad's” day to your Dad! Thanks you guys. I'm glad you liked this. Thanks for sharing your dad stories with me (I got a lot of email on this one). 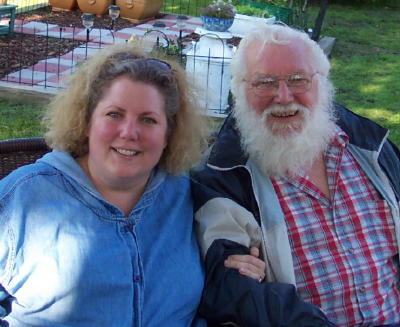 My dad is pretty cool, and yes, he does look like Santa! When he retired 8 years ago, he said he was never shaving again. Little kids stop and stare at him, some will ask if he's Santa. He tells them Santa likes to spend his summers in Minnesota 🙂 LOVE my dad. This is a great post – my husband had no role model for a father and yet I couldn't ask for a better one for our son, so I can totally relate!